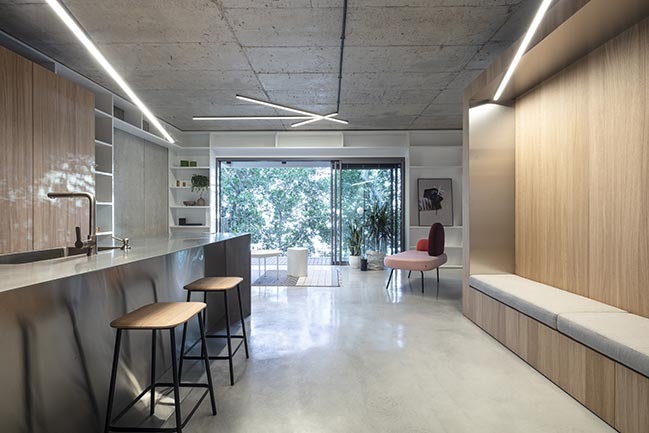 From the architect: The project was commissioned while the building was being built, so the apartment was left an empty shell without anything else than the structure for us to design it with maximum freedom. 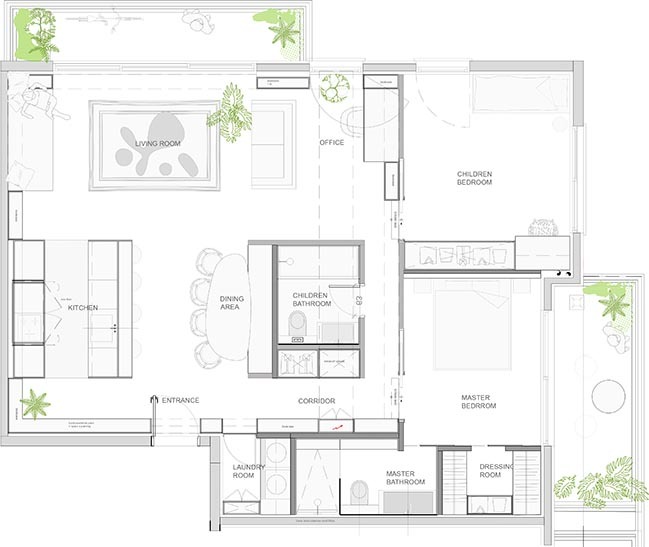 The use of very few materials and clean lines combined with a generous living area enhance the feeling of open space. 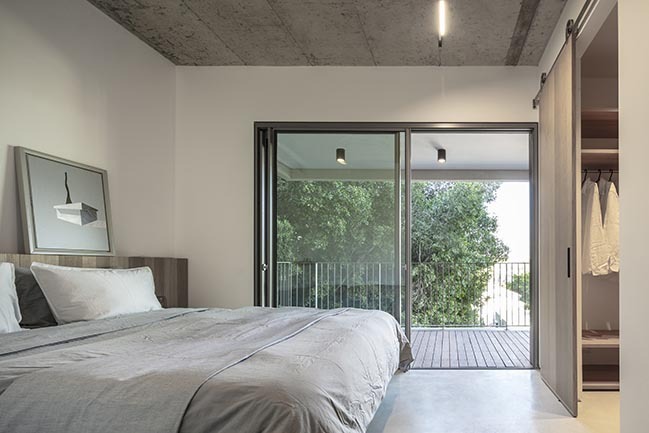 Still, preserving intimacy was fundamental, and each of the 2 bedrooms are turned to the outside, overlooking at the centenary trees outside. 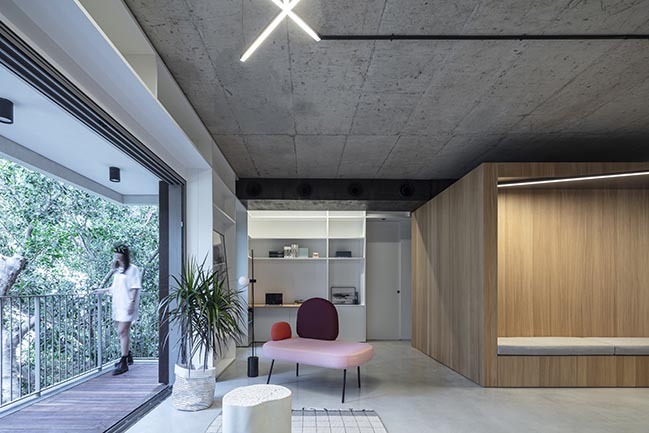 The floor, ceiling as well as a wall in the living room were left in rough concrete. 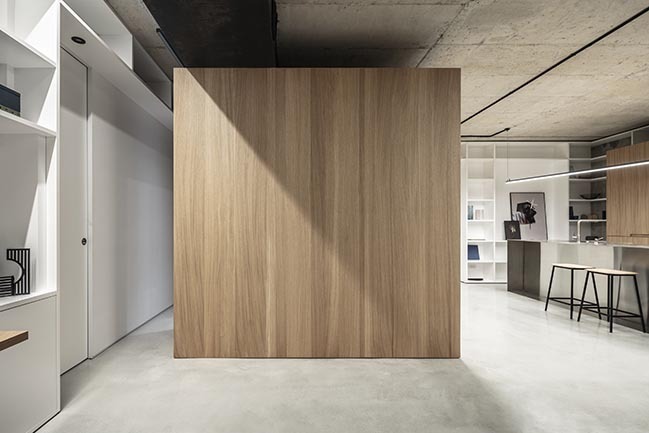 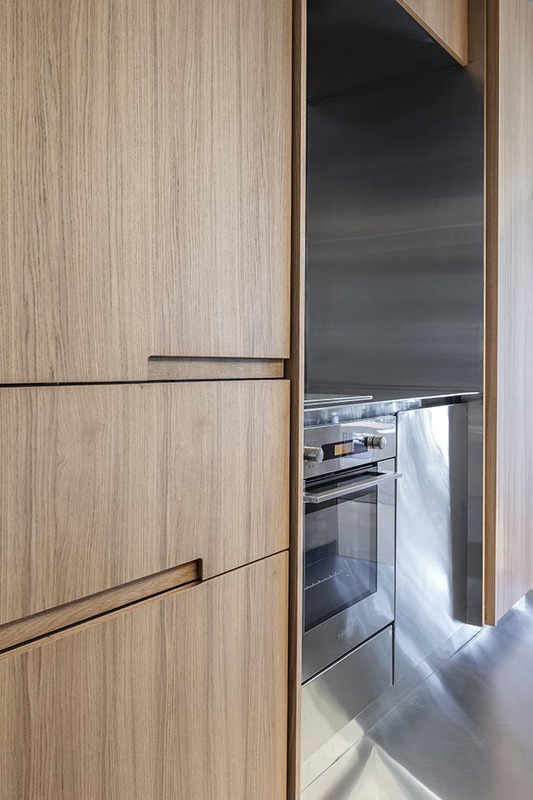 The Box and the kitchen in front of it are covered in white oak and reflective, custom brushed stainless steel. 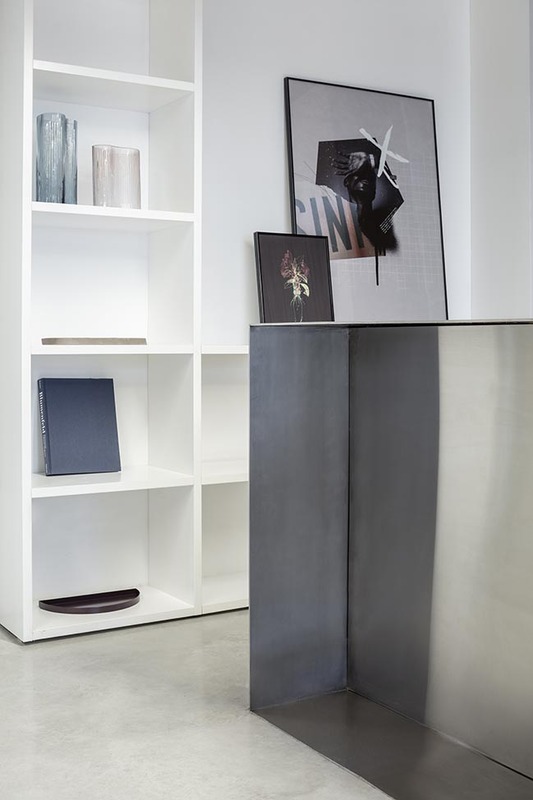 A continuous white lacquered bookcase links all the living area and creates various storage all around. 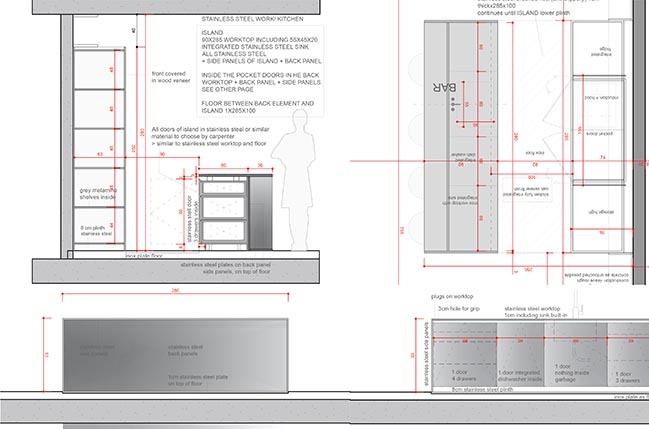 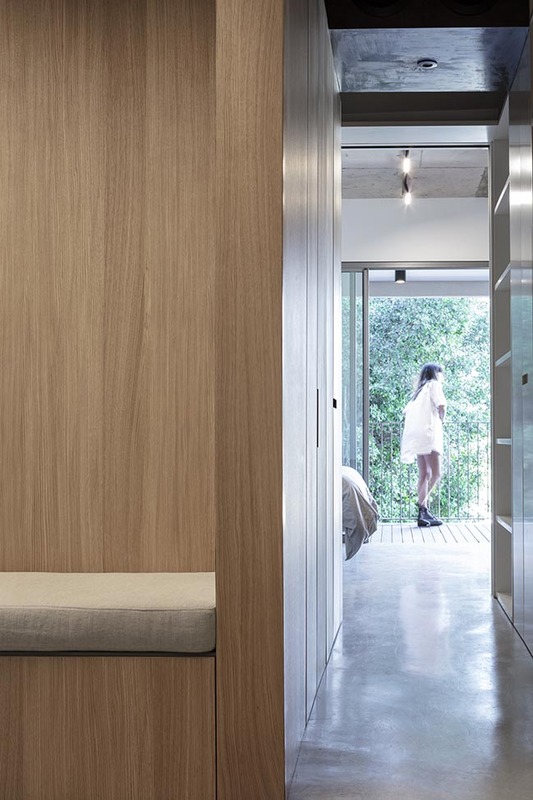 It also integrates the doors to the surrounding spaces in the design. 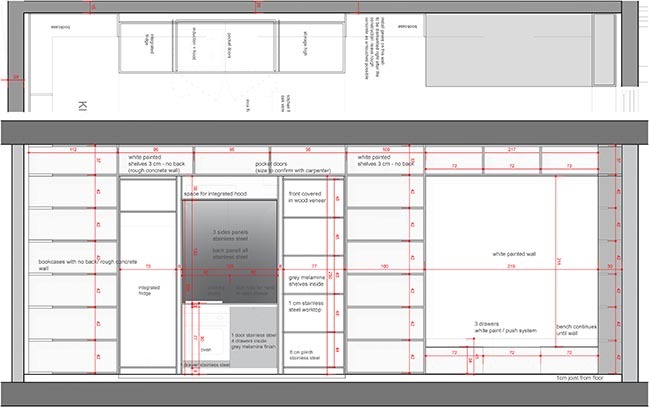 The Box is a fully functional object. 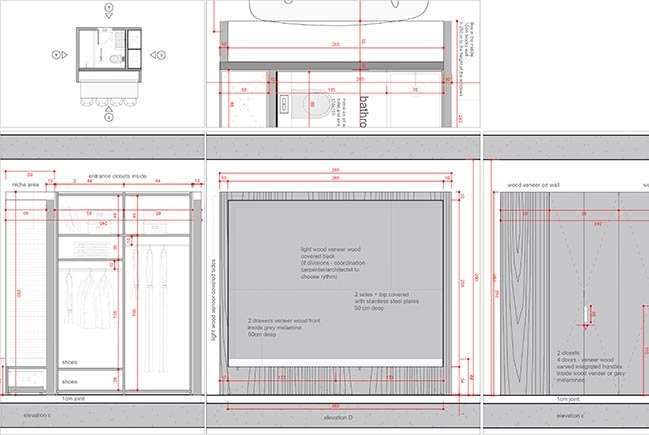 It encloses the children bathroom, some clothes and household linen storage and defines the dining area with a bench. 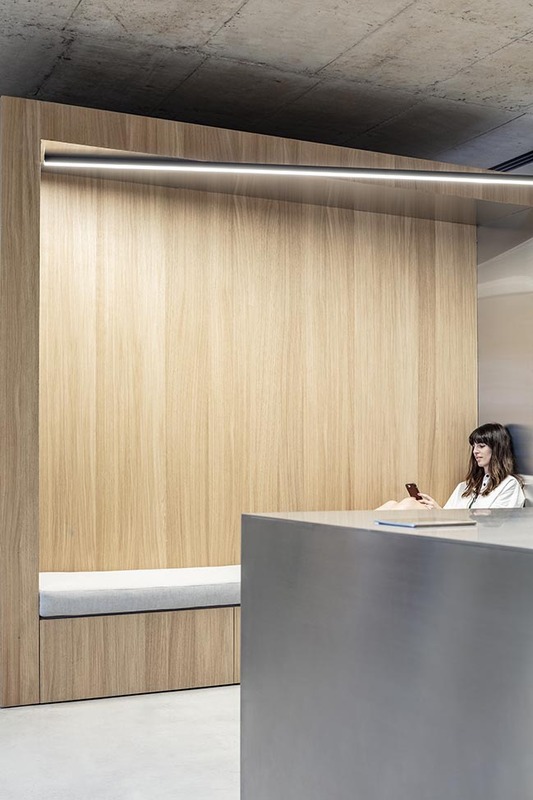 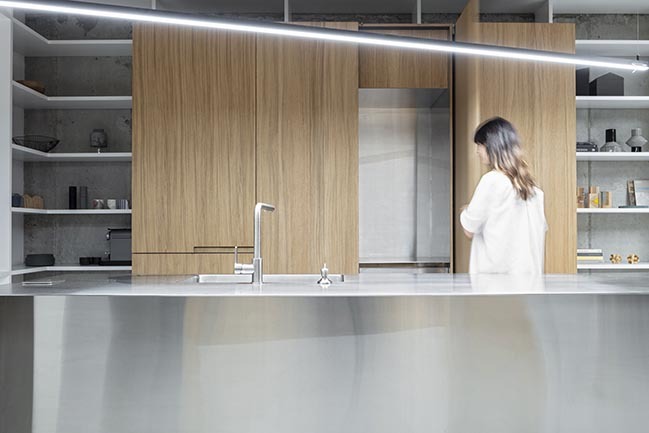 The angled led lights disturb the calm, clean and square design and provide it with some energy and motion. 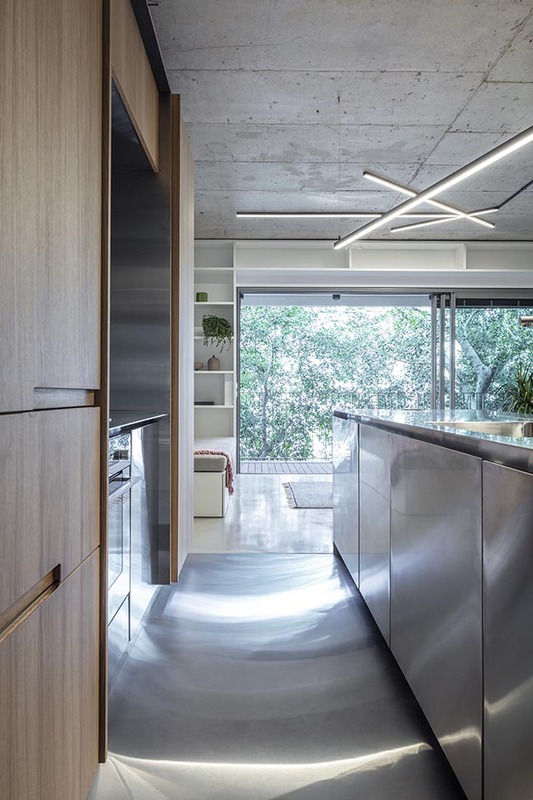 Also, the centenary trees outside, that almost enter inside the apartment are framed through the large windows as if they were art pieces and filter light creating an ever-changing space. 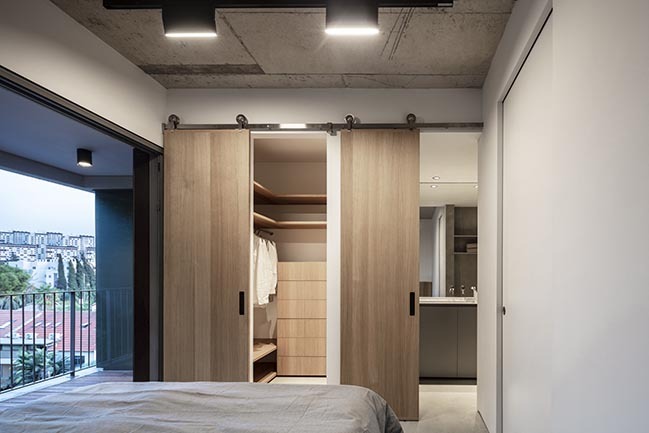 01 / 23 / 2019 Designed by toledano+architects. 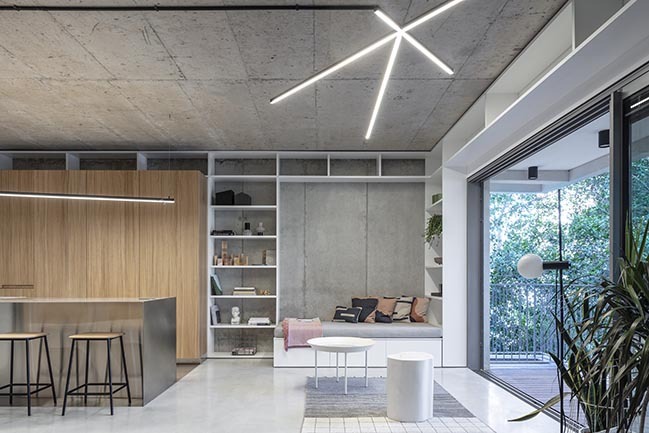 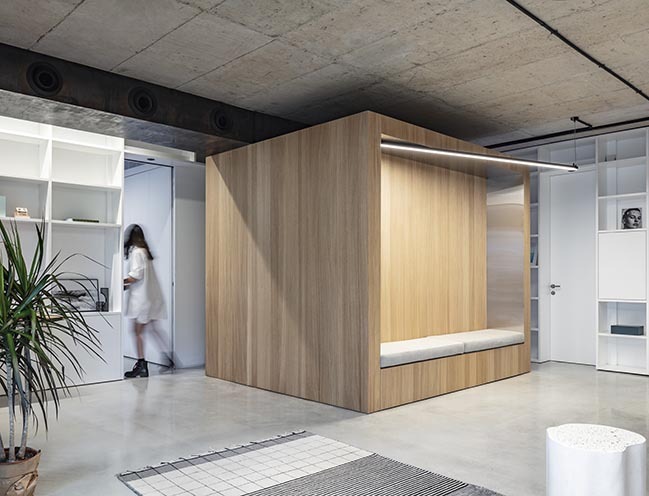 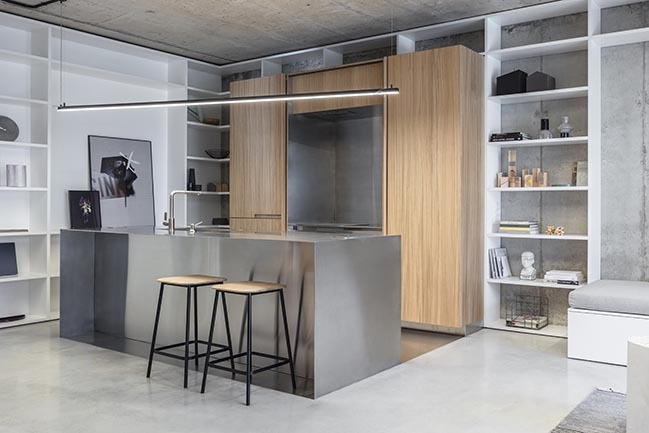 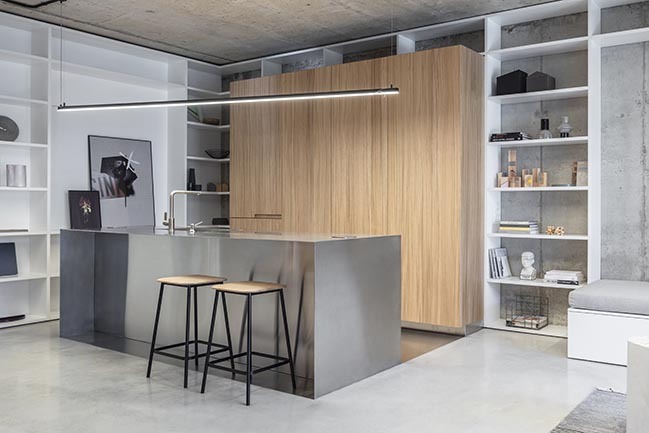 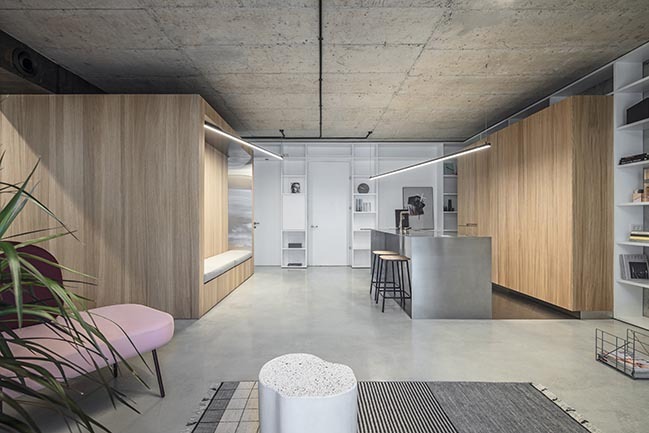 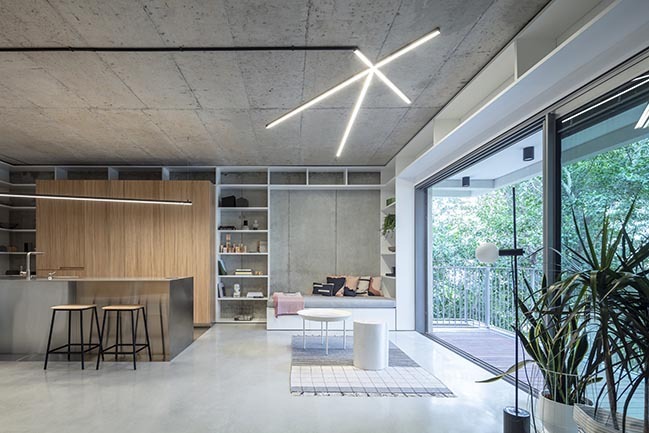 The Box-Tel Aviv Loft for a young couple. 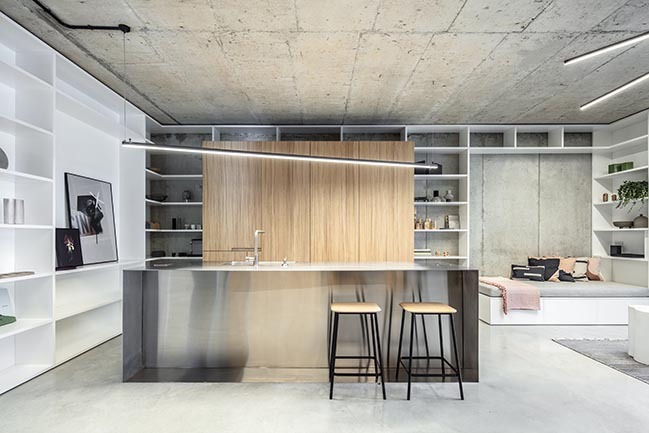 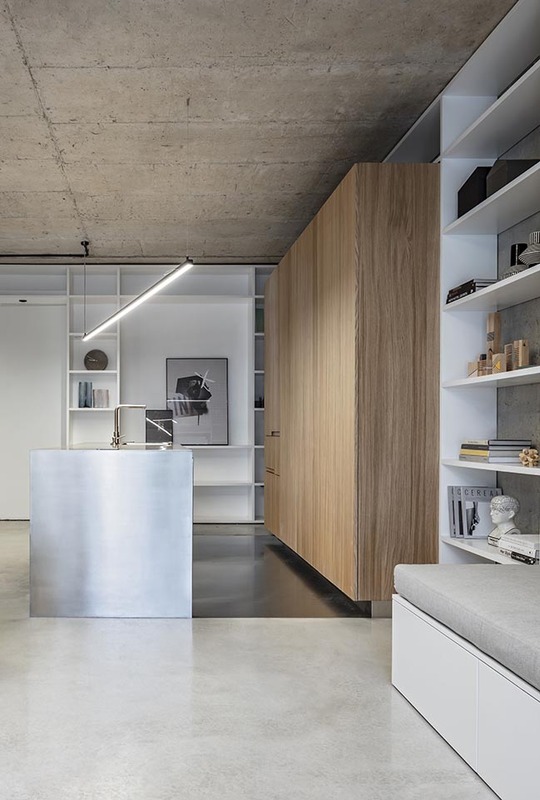 Modularity is a key word in the design of this Loft.